If you're someone who relies on a pickup to meet the demands of your job or the requirements of your hobbies, the 2015 Chevrolet Silverado 1500 delivers everything you're looking for. It offers a number of engine options that provide a wide variety of power and efficiency combinations depending on your priorities. Its steel frame has also been built to stand up to the harshest conditions and comes with a cabin that’s loaded with comfort and convenience features. This is a pickup you can rely on for years to come to faithfully serve your purposes. Find out how it compares to the 2015 Nissan Titan, then plan on checking out the newest Silverado 1500 in person at Sunrise Chevrolet in Glendale Heights, only 10 minutes from Bloomingdale. Chevy Silverado: Choose between one of two V8 engines—a 5.3L V8 that puts out 355 hp and 383 lb-ft of torque and can tow between 6,200 pounds and 11,500 pounds, or an even stronger 6.2L V8 that puts out 420 hp and 460 lb-ft of torque and can tow between 9,100 pounds and 12,000 pounds. 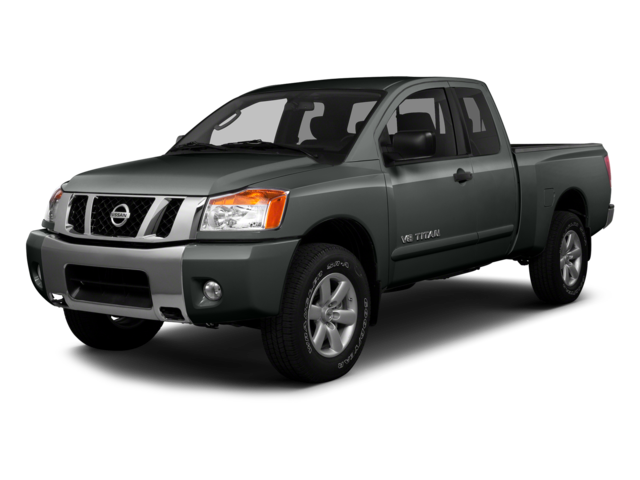 Nissan Titan: The Titan has only one engine option, a 5.6L V8 that puts out just 317 hp and 385 lb-ft of torque. Maximum towing capacity reaches only 9,500 pounds. You've seen that the 2015 Chevrolet Silverado 1500 is more powerful. Thanks to its exclusive V6 engine option, it also proves to be more efficient. With the 4.3L V6 engine under the hood, the Silverado can get an EPA-estimated 18 mpg in the city and 24 mpg on the highway. Fuel-efficiency in the Titan tops out at an EPA-estimated 13 mpg in the city and 18 mpg on the highway. 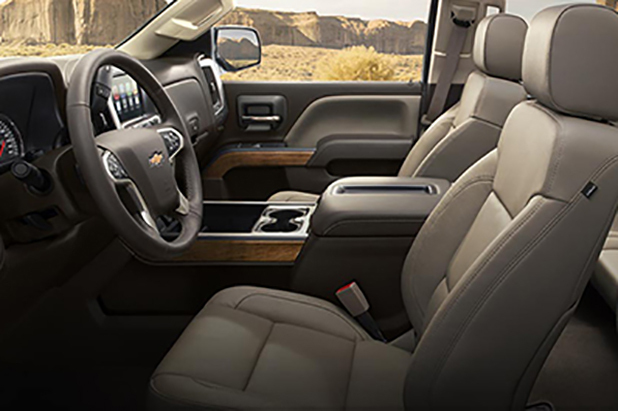 The Silverado gives you lots of options when it comes to the size of your cabin and bed. The Titan feels quite limiting by comparison. Choose from either a two-person regular cab, a four-person extended cab, or an even roomier four-person crew cab. Regular cabs are available with either a 6.5-foot standard bed or an 8.2-foot long bed. Extended cabs automatically come with a 6.5-foot standard bed, while crew cabs can be paired with either 5.75-foot short bed or the standard bed. Your only options are a four-person King cab paired with a 6-foot 7-inch bed, or the larger Crew cab paired with a 5-foot 7-inch bed. If neither of those options meets your needs then you are out of luck. At various trim levels, you will be able to find the features you're looking for in both of these pickups. 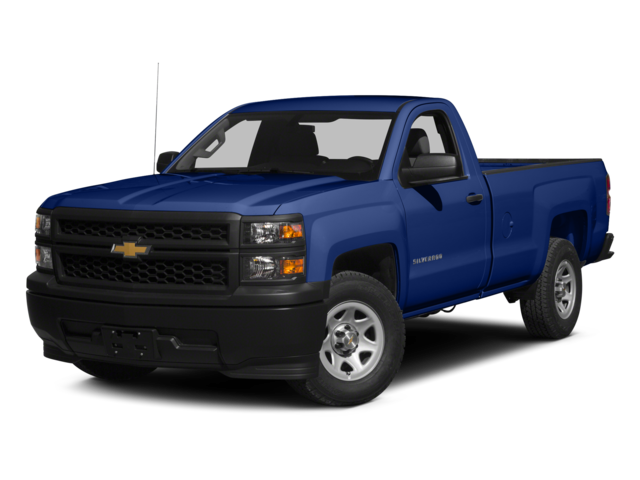 There is, however, one feature that is only available in the 2015 Chevrolet Silverado 1500. The OnStar telematics system is an advanced suite of features and functions you will come to rely on daily. It enhances safety by providing automatic crash notification, roadside assistance, remote door unlocking, and stolen vehicle tracking. It also serves as a 4G LTE Wi-Fi hotspot that extends mobile high-speed internet access to up to seven devices simultaneously. No matter where you are, you're always connected. 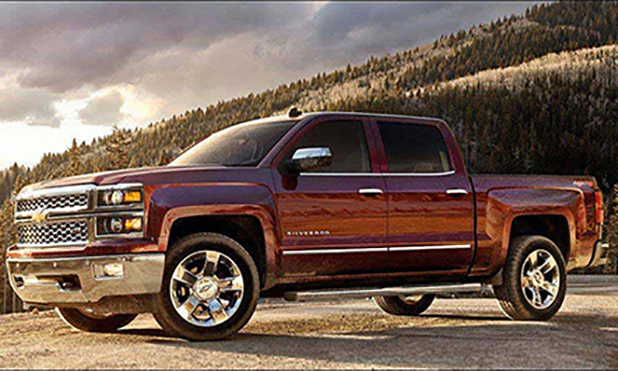 You can push your Silverado to the limit, because you’ll be protected by strong and sophisticated safety features. The same can't be said about the Titan. The Silverado comes standard with OnStar on all but the lowest trims, and higher level trims can be upgraded with a rearview camera, front and rear parking sensors, lane departure monitoring, and a front collision warning system. The only advanced safety features available on the Titan are a rearview camera and rear parking sensors. 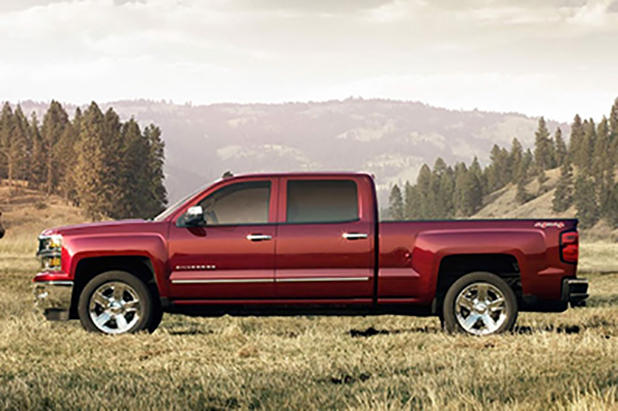 The 2015 Chevrolet Silverado 1500 was designed with the real needs of pickup drivers in mind. Find out if it can do everything you need it to by taking a tour and test drive at Sunrise Chevrolet. Our dealership is located at 414 North Avenue in Glendale Heights, Illinois, and we’re open for sales Monday through Saturday. Get here from Bloomingdale by taking Glen Ellyn road south and turn right on North Avenue. Look for us just west of the Brunswick Zone, and feel free to contact us if you have questions about the Silverado or about the dealership.